Please Whitelist This Website in Your Ad Blocker! It takes time and effort to write these articles and authors need to earn. Please consider whitelisting this website in your ad-blocker if you consider it useful. You can do this by clicking the blocker icon on your toolbar and turning it off. The blocker will still work on other sites. By definition, a triangle is a polygon with three sides. Polygons are plane (flat, two-dimensional) shapes with several straight sides. 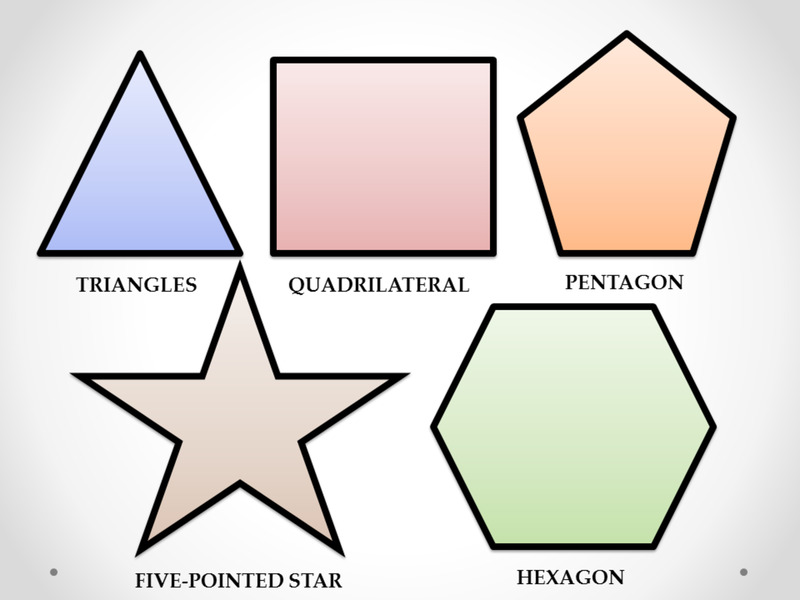 Other examples include squares, pentagons, hexagons and octagons. The name originates from the Greek polús meaning "many" and gōnía meaning "corner" or "angle." So polygon means "many corners." A triangle is the simplest polygon, having only three sides. In this tutorial, you'll learn about Pythagoras' theorem, the sine rule, the cosine rule and how to use them to calculate all the angles and side lengths of triangles when you only know some of the angles or side lengths. You'll also discover different methods of working out the area of a triangle. If you find the article useful, please share it on Facebook or Pinterest. Before we delve into Pythagoras' theorem, the sine rule, and the cosine rule, it is important to state that all triangles have three corners with angles that add up to a total of 180 degrees. The angle between the sides can be anything from greater than 0 to less than 180 degrees. 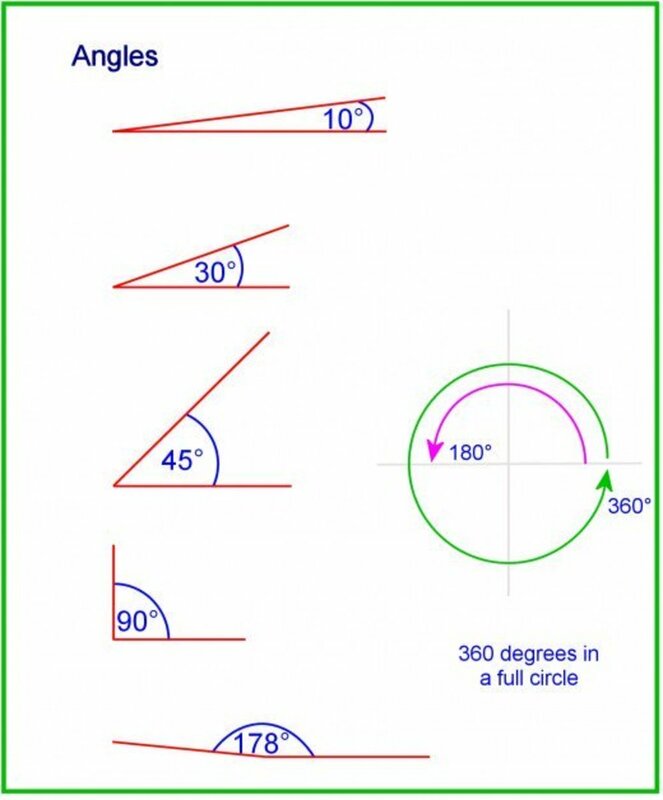 The angles can't be 0 or 180 degrees, because the triangles would become straight lines. (These are called degenerate triangles). 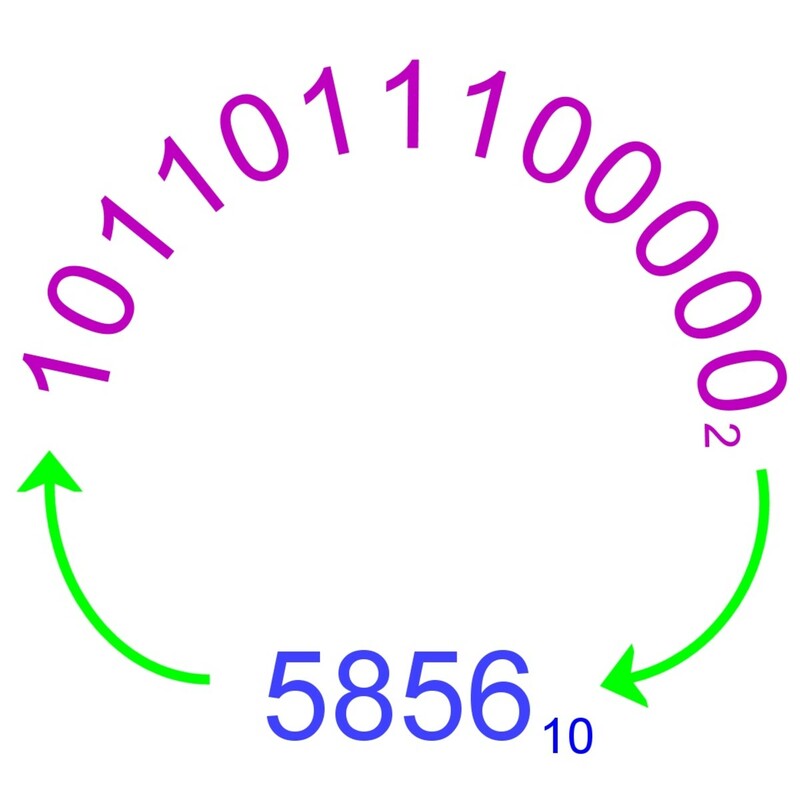 Degrees can be written using the symbol º. So, 45º means 45 degrees. Triangles come in many shapes and sizes according to the angles of their corners. Some triangles, called similar triangles, have the same angles but different side lengths. This changes the ratio of the triangle, making it bigger or smaller, without changing the degree of its three angles. Below, we will examine the many ways to discover the side lengths and angles of a triangle. This states that the sum of any two sides of a triangle must be greater than or equal to the remaining side. 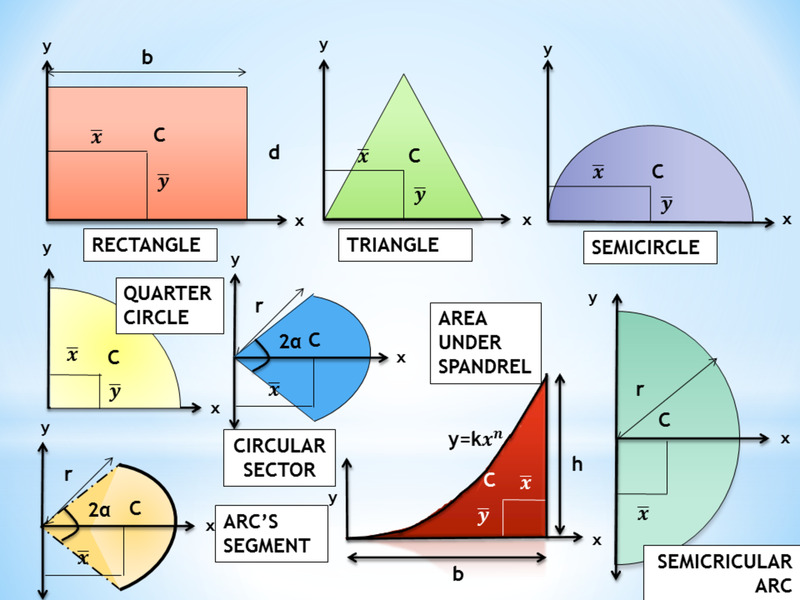 Below is a graphic and table listing the different types of triangles along with a description of what makes them unique. You can classify a triangle either by side length or internal angle. An isosceles triangle has two sides of equal length, and one side that is either longer or shorter than the equal sides. Angle has no bearing on this triangle type. All sides and angles are equal in length and degree. All sides and angles are of different lengths and degrees. Types of triangles by length of sides. One angle is 90 degrees. 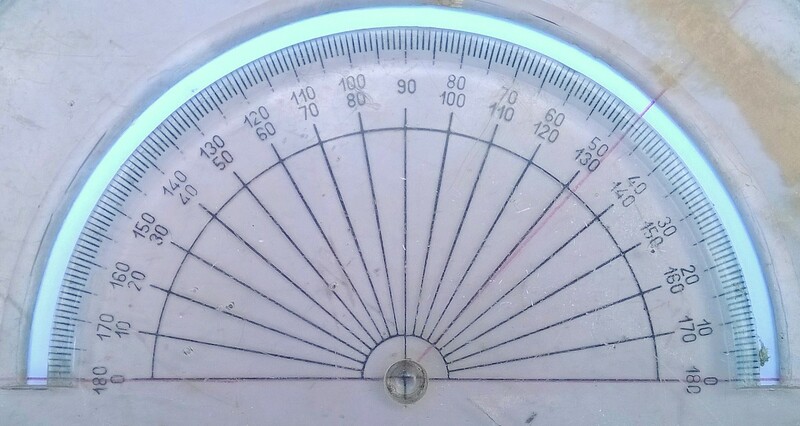 Each of the three angles measure less the 90 degrees. One angle is greater than 90 degrees. Types of triangles by angle. Another topic that we'll briefly cover before we delve into the mathematics of solving triangles is the Greek alphabet. In science, mathematics, and engineering many of the 24 characters of the Greek alphabet are borrowed for use in diagrams and for describing certain quantities. For example, the characters θ (theta) and φ (phi) are often used for representing angles. 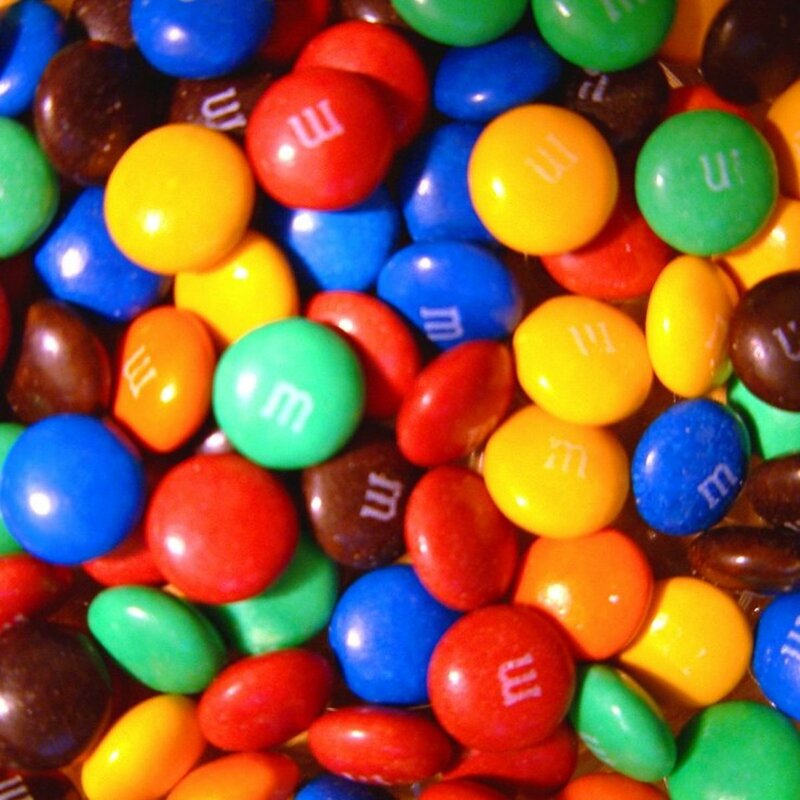 You may have also seen the character μ (mu) represent micro as in micrograms μg or micrometers μm. 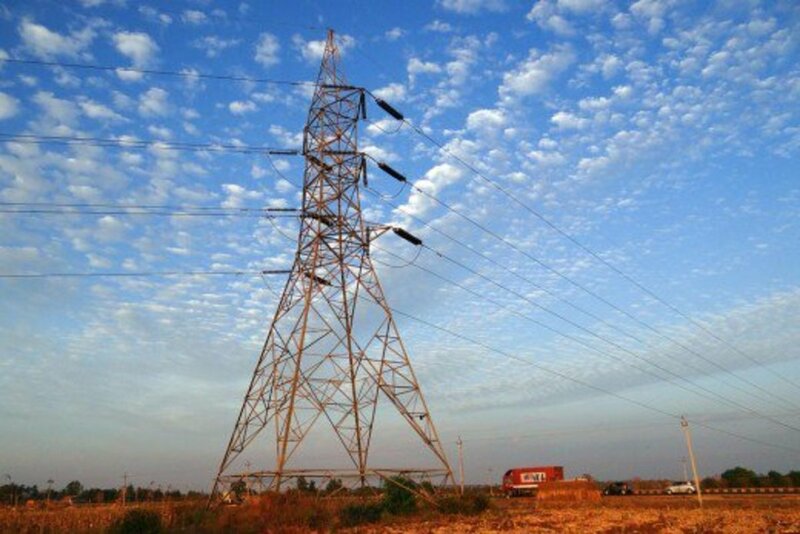 The capital letter Ω (omega) is the symbol for ohms in electrical engineering. 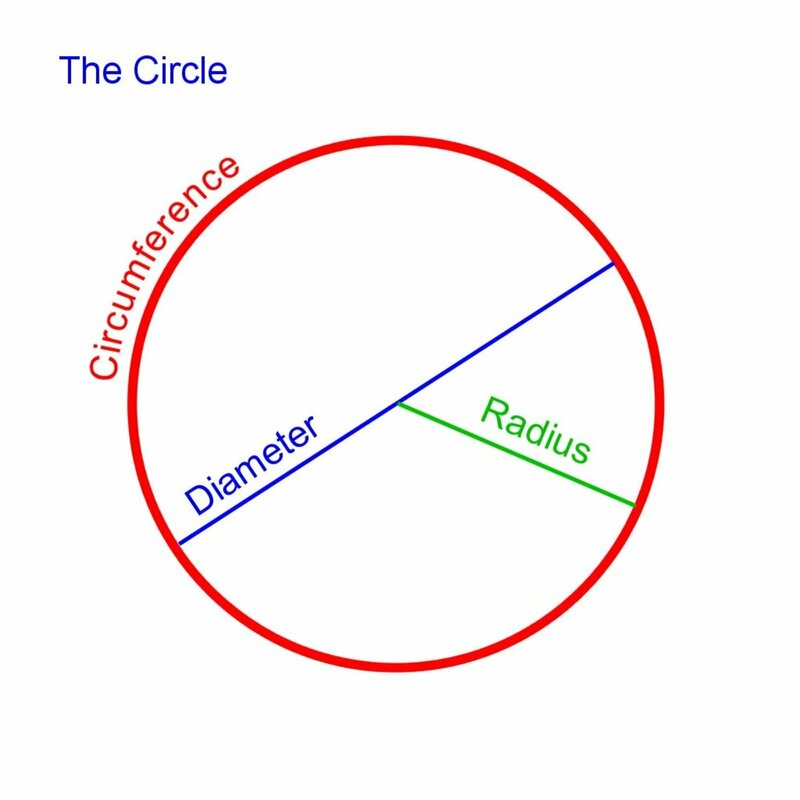 And, of course, π (pi) is the ratio of the circumference to the diameter of a circle. How Do You Find the Sides and Angles of a Triangle? There are many methods available to the mathematician when it comes to discovering the sides and angles of a triangle. To find the length or angle of a triangle, one can use formulas, mathematical rules, or the knowledge that the angles of all triangles add up to 180 degrees. The square on the hypotenuse equals the sum of the squares on the other two sides. The hypotenuse is the longest side of a right triangle, and is thus located opposite the right angle. So, if you know the lengths of two sides, all you have to do is square the two lengths, add the result, then take the square root of the sum to get the length of the hypotenuse. The sides of a triangle are 3 and 4 units long. What is the length of the hypotenuse? Call the sides a, b, and c. Side c is the hypotenuse. A right triangle has one angle measuring 90 degrees. The side opposite this angle is known as the hypotenuse (another name for the longest side). 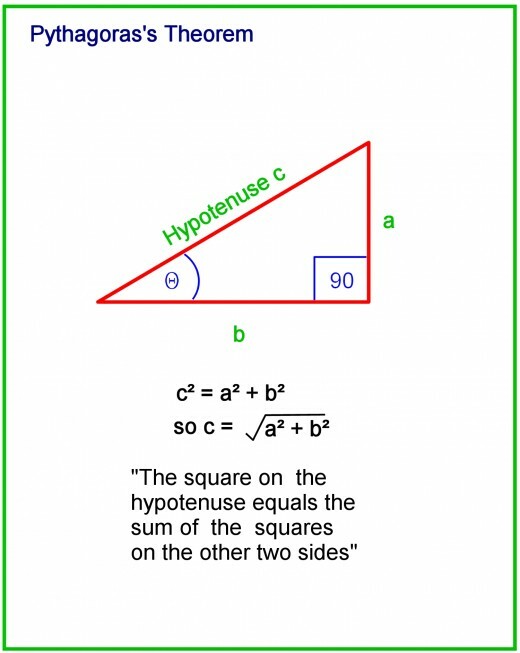 The length of the hypotenuse can be discovered using Pythagoras' theorem, but to discover the other two sides, sine and cosine must be used. These are trigonometric functions of an angle. In the diagram below, one of the angles is represented by the Greek letter θ. Side a is known as the "opposite" side and side b is "adjacent" to the angle θ. The vertical lines "||" around the words below mean "length of." Sine and cosine apply to an angle, any angle, so it's possible to have two lines meeting at a point and to evaluate sine or cos for that angle. However, sine and cosine are derived from the sides of an imaginary right triangle superimposed on the lines. In the second diagram below, you can imagine a right angled triangle superimposed on the purple triangle, from which the opposite, adjacent, hypotenuse sides can be determined. Over a range 0 to 90 degrees, sine ranges from 0 to 1, and cos ranges from 1 to 0. Remember, sine and cosine only depend on the angle, not the size of the triangle. So if the length a changes in the diagram below when the triangle changes in size, the hypotenuse c also changes in size, but the ratio of a to c remains constant. They are similar triangles. Sine and cosine are sometimes abbreviated to sin and cos. The ratio of the length of a side of a triangle to the sine of the angle opposite is constant for all three sides and angles. Now, you can check the sine of an angle using a scientific calculator or look it up online. In the old days before scientific calculators, we had to look up the value of the sine or cos of an angle in a book of tables. The length of one side and the magnitude of the angle opposite is known. Then, if any of the other remaining angles or sides are known, all the angles and sides can be worked out. You know the lengths of two sides of a triangle and the included angle. You can then work out the length of the remaining side using the cosine rule. You know all the lengths of the sides but none of the angles. The other angles can be worked out similarly. 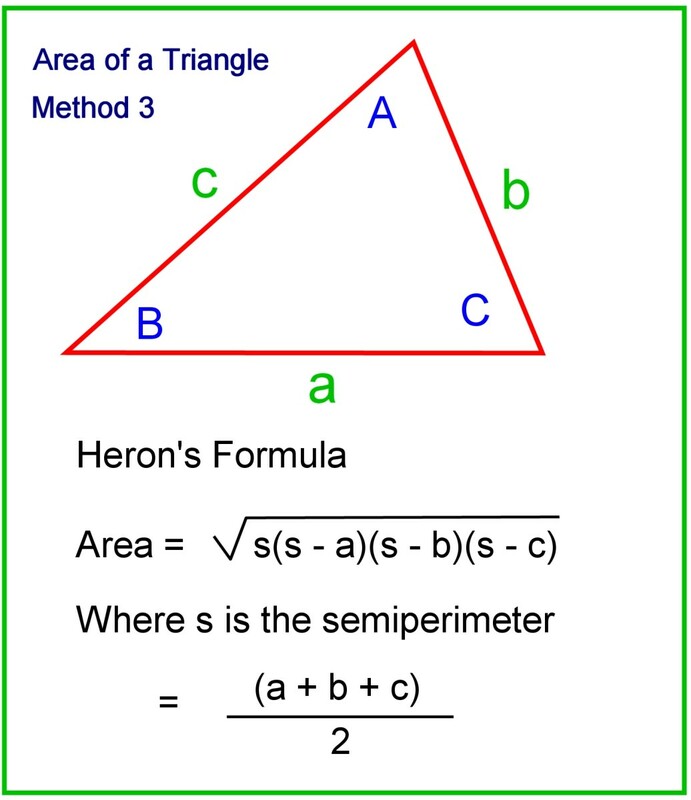 There are three methods that can be used to discover the area of a triangle. 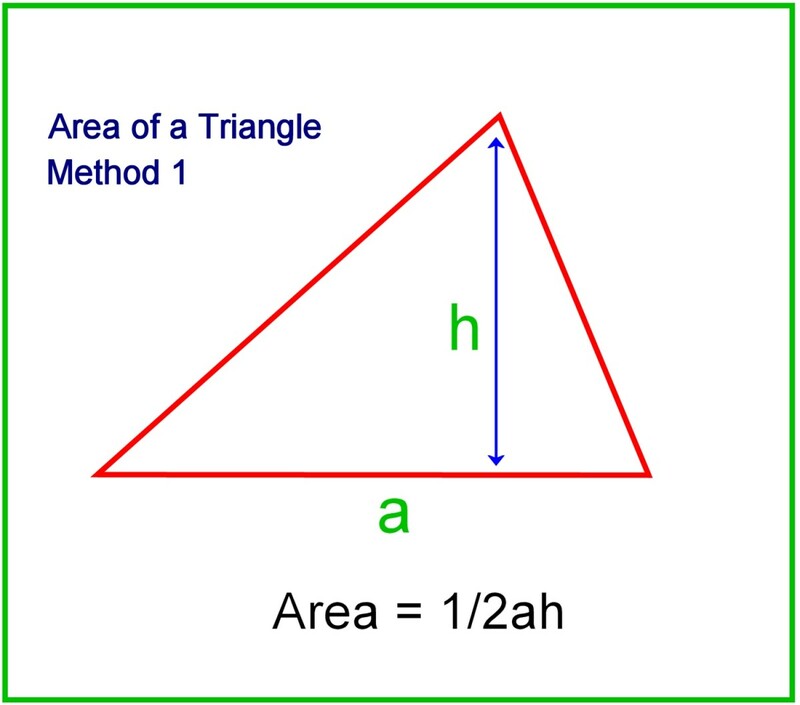 "a" represents the length of the base of the triangle and "h" represents the height of the perpendicular line. The simple method above requires you to actually measure the height of a triangle. 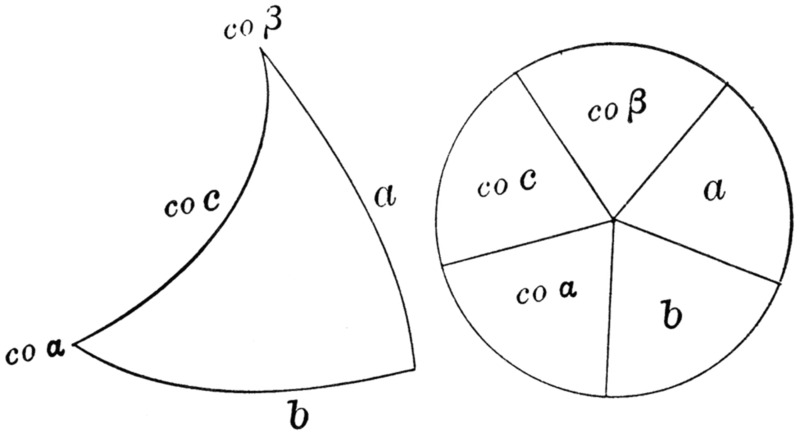 If you know the length of two of the sides and the included angle, you can work out the area analytically using sine and cosine (see diagram below). Use Heron's formula. All you need to know are the lengths of the three sides. How Do You Measure Angles? 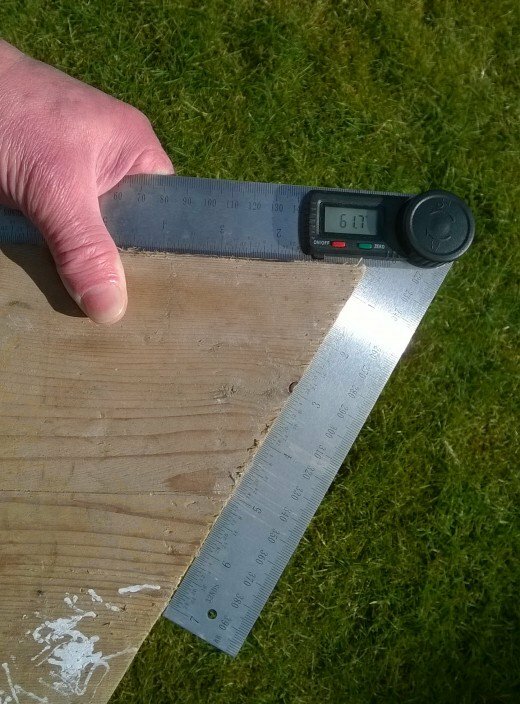 You can use a protractor or a digital angle finder. 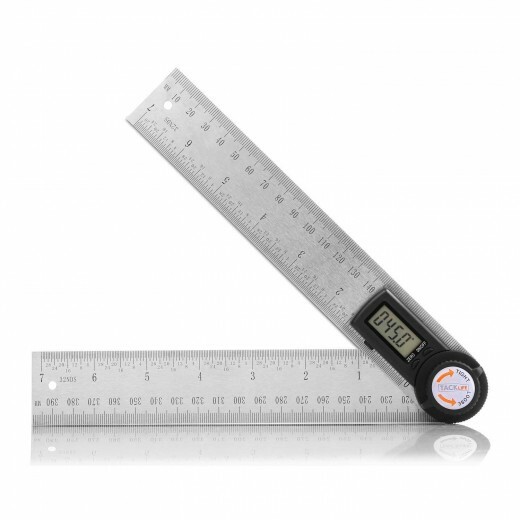 These are useful for DIY and construction if you need to measure an angle between two sides, or transfer the angle to another object. 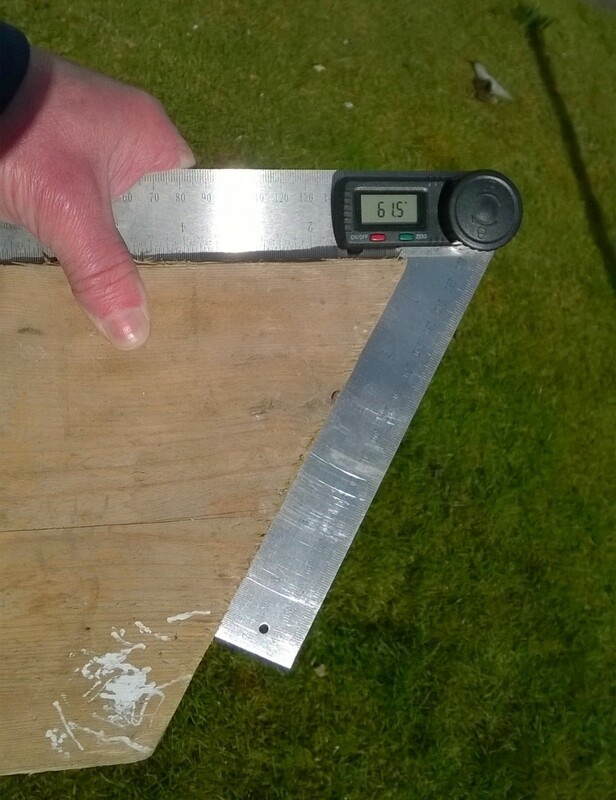 You can use this as a replacement for a bevel gauge for transferring angles e.g. when marking the ends of rafters before cutting. The rules are graduated in inches and centimetres and angles can be measured to 0.1 degrees. If you've made it this far, you've learned numerous helpful methods to discover different aspects of a triangle. With all this information, you may be confused as to when you should use which method. The table below should help you identify which rule to use depending on the parameters you have been given. Find the Angles and Sides of a Triangle - Which Rule Do I Use? Triangle is right and I know length of two sides. Use Pythagoras's Theorem to work out remaining side and sine rule to work out angles. Use the trigonometric identities sine and cosine to work out the other sides and sum of angles (180 degrees) to work out remaining angle. I know the length of two sides and the angle between them. Use the cosine rule to work out remaining side and sine rule to work out remaining angles. I know the length of two sides and the angle opposite one of them. Use the sine rule to work out remaining angles and side. I know the length of one side and all three angles. Use the sine rule to work out the remaining sides. Below are some frequently asked questions about triangles. How Many Degrees Are There in a Triangle? 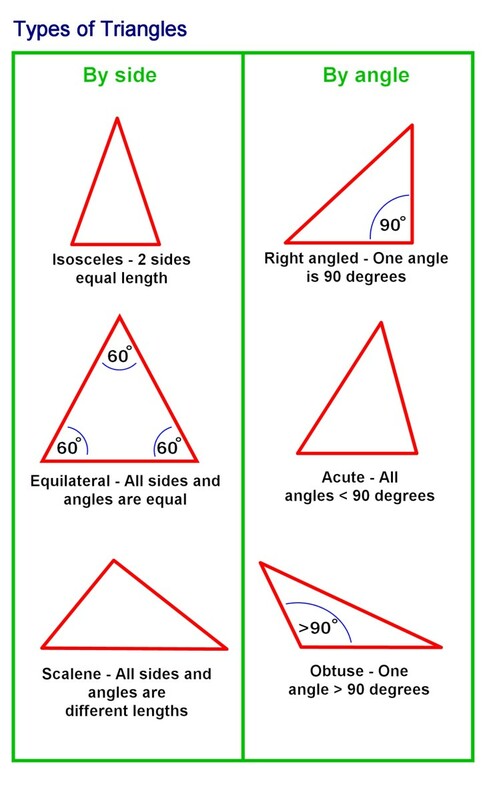 The interior angles of all triangles add up to 180 degrees. What Is the Hypotenuse of a Triangle? The hypotenuse of a triangle is its longest side. What Do the Sides of a Triangle Add up to? How Do You Calculate the Area of a Triangle? "a" represents the length of the base of the triangle. "h" represents its height, which is discovered by drawing a perpendicular line from the base to the peak of the triangle. How Do You Find the Third Side of a Triangle That Is Not Right? If you know two sides and the angle between them, use the cosine rule and plug in the values for the sides b, c, and the angle A. Next, solve for side a. 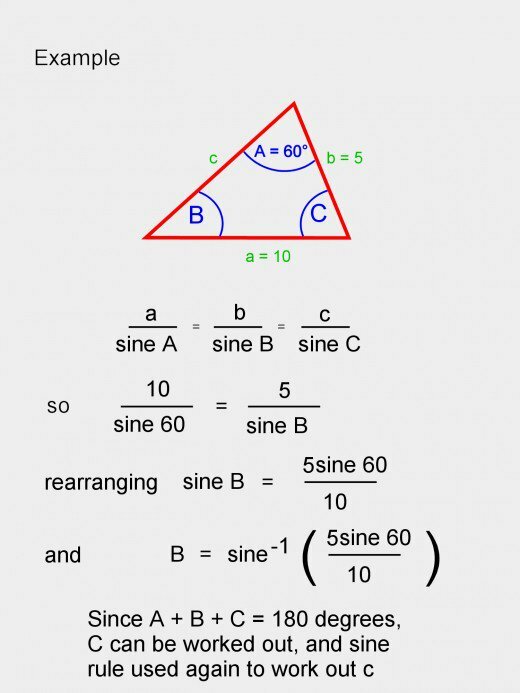 Then use the angle value and the sine rule to solve for angle B. Finally, use your knowledge that the angles of all triangles add up to 180 degrees to find angle C.
How Do You Find the Missing Side of a Triangle? What Is the Name of a Triangle With Two Equal Sides? A triangle with two equal sides and one side that is longer or shorter than the others is called an isosceles triangle. What Is the Cosine Formula? How Do I Calculate the Volume of a Triangle? Since a triangle is a plane and two-dimensional object, it is impossible to discover its volume. A triangle is flat. Thus, it has no volume. In the above formula, "V" represents volume, "b" represents the area of the base of the triangular prism, and "h" represents the height of the triangular prism. How to Figure Out the Sides of a Triangle if I Know All the Angles? You need to know at least one side, otherwise you can't work out the lengths of the triangle. There's no unique triangle that has all angles the same. Triangles with the same angles are similar but the ratio of sides for any two triangles is the same. How to Work Out the Sides of a Triangle if I know All the Sides? Use the cosine rule in reverse. A triangle is the most basic polygon and can't be pushed out of shape easily, unlike a square. 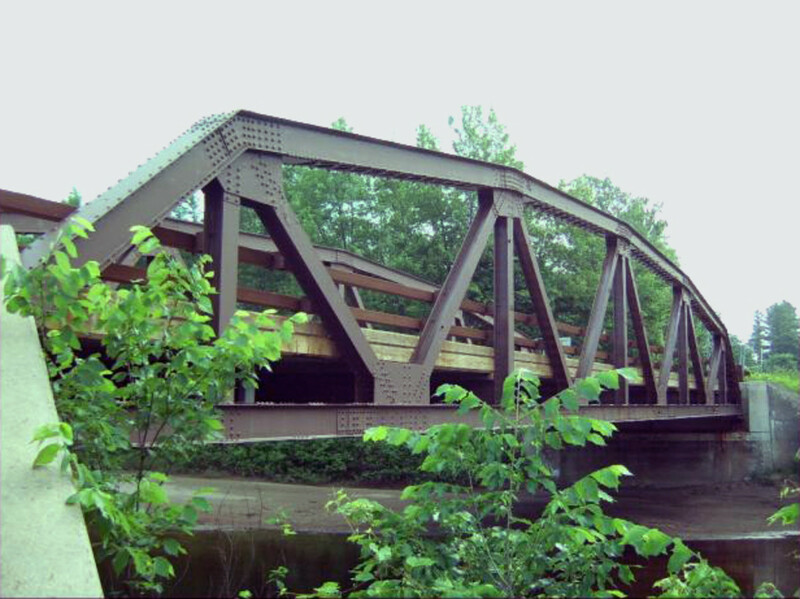 If you look closely, triangles are used in the designs of many machines and structures because the shape is so strong. The strength of the triangle lies in the fact that when any of the corners are carrying weight, the side opposite acts as a tie, undergoing tension and preventing the framework from deforming. For example, on a roof truss the horizontal ties provide strength and prevent the roof from spreading out at the eaves. 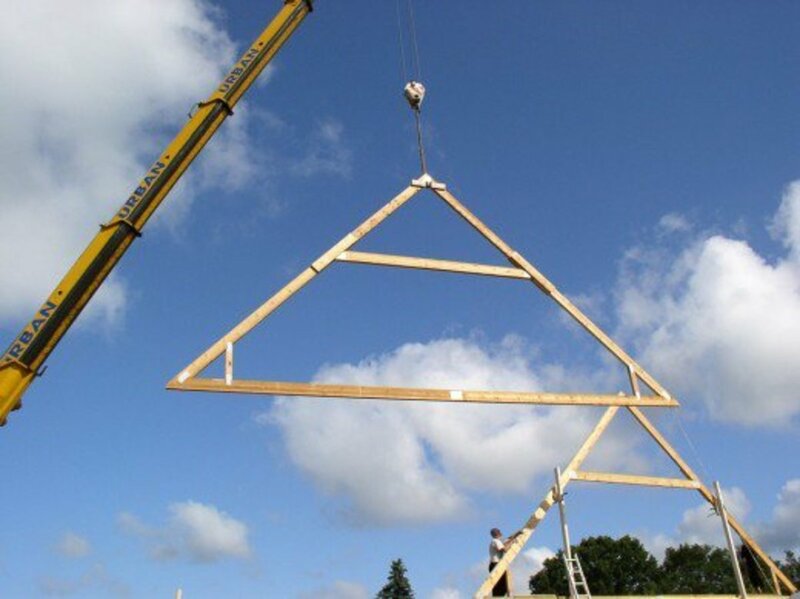 The sides of a triangle can also act as struts, but in this case they undergo compression. 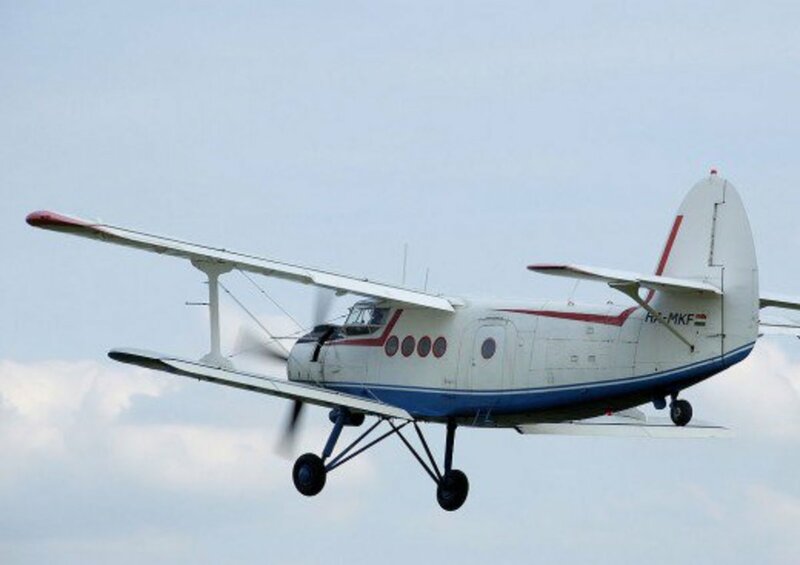 An example is a shelf bracket or the struts on the underside of an airplane wing or the tail wing itself. You can implement the cosine rule in Excel using the ACOS Excel function to evaluate arccos. This allows the included angle to be worked out, knowing all three sides of a triangle. Teachers and students, would you you like to see more help guides like this one? Please leave a suggestion in the comment section below if you have any ideas. How do you find the remaining sides of a triangle if you have only one angle and one side given? You need to have more information. So either one side and the two angles at each end or two sides and the angle between them. 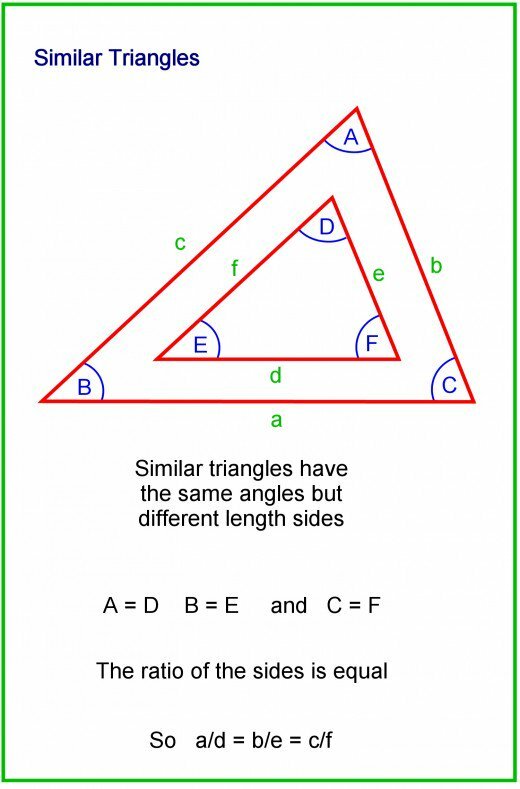 You can prove this to yourself by drawing out the single side and angle and seeing how you can draw as many different shaped triangles as you want. 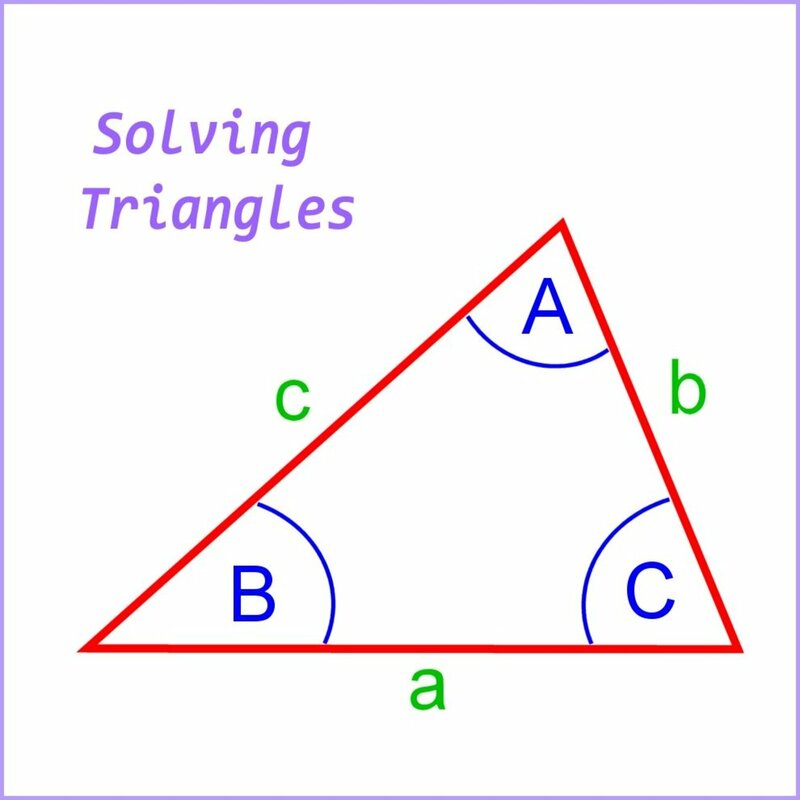 What is the formula for finding what an equilateral triangle of side a, b and c is? Since the triangle is equilateral, all the angles are 60 degrees. However, the length of at least one side must be known. Once you know that length, since the triangle is equilateral, you know the length of the other sides because all sides are of equal length. How do I find the value if all three sides of a scalene triangle are unknown? If all the sides are unknown, you can't solve the triangle. You need to know at least two angles and one side, or two sides and one angle, or one side and one angle if the triangle is a right-angled triangle. What rule would be used to find the length of sides if all three angles are known? There is an infinite number of similar triangles that have the same angles. Imagine if you have a triangle and you know all the angles. You can keep making it bigger, but the angles stay the same. However, the sides get longer. So you need to know the length of at least one side. Then you can use the Sine Rule to work out the remaining three sides. How would you solve this problem: The angle of elevation of the top of a tree from point P due west of the tree is 40 degrees. From a second point Q due east of the tree, the angle of elevation is 32 degrees. If the distance between P and Q is 200m, find the height of the tree, correct to four significant figures? One angle is 40 degrees, the other angle is 32 degrees, therefore the third angle opposite the base PQ is 180 - (32 + 40) = 108 degrees. A right angled triangle is formed between point P, the top of the tree and its base and also point Q, the top of the tree and its base. The best way to solve is to find the hypotenuse of one of the triangles. So use the triangle with vertex P.
The angle formed between sides PT and QT was worked out as 108 degrees. So for the right angled triangle we chose, PT is the hypotenuse. How do I find the missing side of a triangle when only its height is known? Use Pythagoras's Theorem. Add the sine, cosine and tan relationships between angles and the hypotenuse of the triangle to work out the remaining side. How do you find the length of all the sides of a right triangle if all you know is Cos B is 0.75? You can find the angle B from the arccos of 0.75 and then use the fact that the three angles add up to 180 to find the remaining angle. However there is an infinite number of similar right triangles that have all three angles the same, so you need to know at least the length of one side. How do you find the side of a right triangle given two angles and hypotenuse? If you know two angles, then you can work out the third since all the angles sum to 180 degrees. 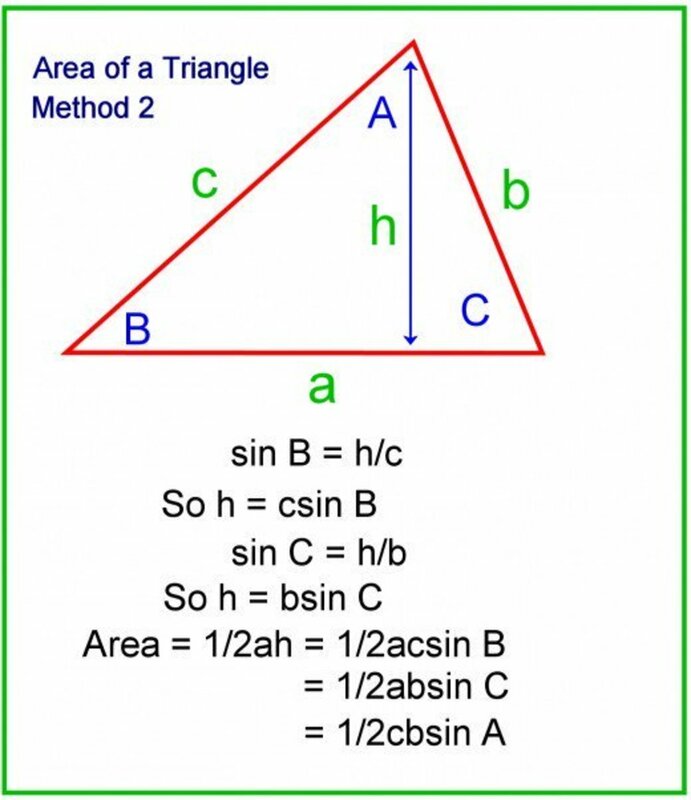 If the sides are a, b and the hypotenuse is c (opposite angle A), and the angles are A, B and C, then Sin A = a/c, so a = cSin A. Also Cos A = b/c, so b = cCos A. How do I find the angles of a triangle if I know the lengths of all three sides? Use the cosine rule to find one of the angles. You'll need to use the arccos or inverse cos function to work out the value of the angle. Then use the sine rule to find another angle. Finally, use the fact that the sum of the angles is 180 degrees to find the remaining third angle. Which formula is used when given 90-degree triangle, opposite angle is 26 degrees and one leg is know? 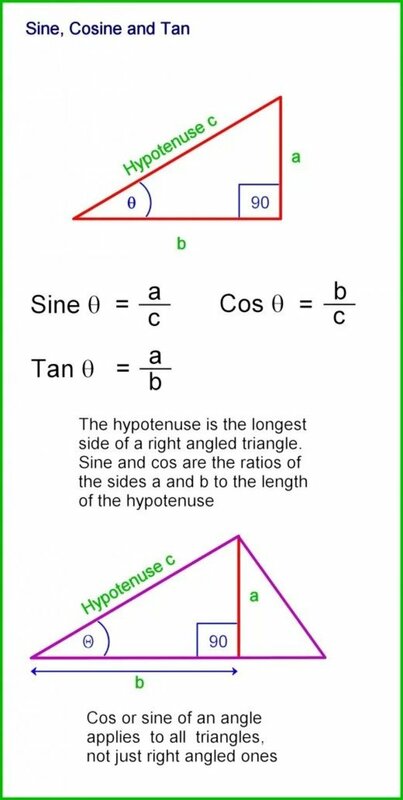 Use the fact that the cos of an angle is the length of the adjacent side divided by the hypotenuse, or the sine of an angle is the opposite side divided by the hypotenuse. In your case, you know the side opposite the angle. How do I get the area of a scalene triangle if I have two sides and the angle between them? Use the formula 1/2abSinC where a and b are the two sides and C is the angle between them. A greenhouse can be modeled as a rectangular prism with a half-cylinder on top. 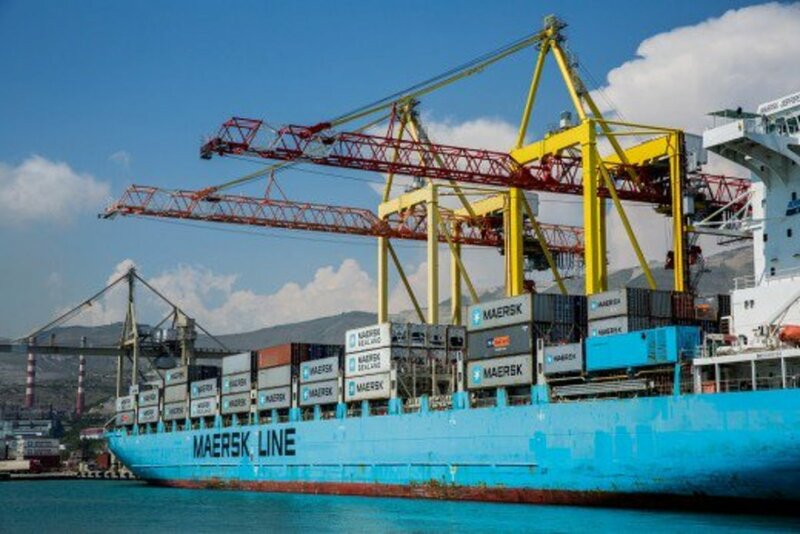 The rectangular prism is 20 feet wide, 12 feet high, and 45 feet long. 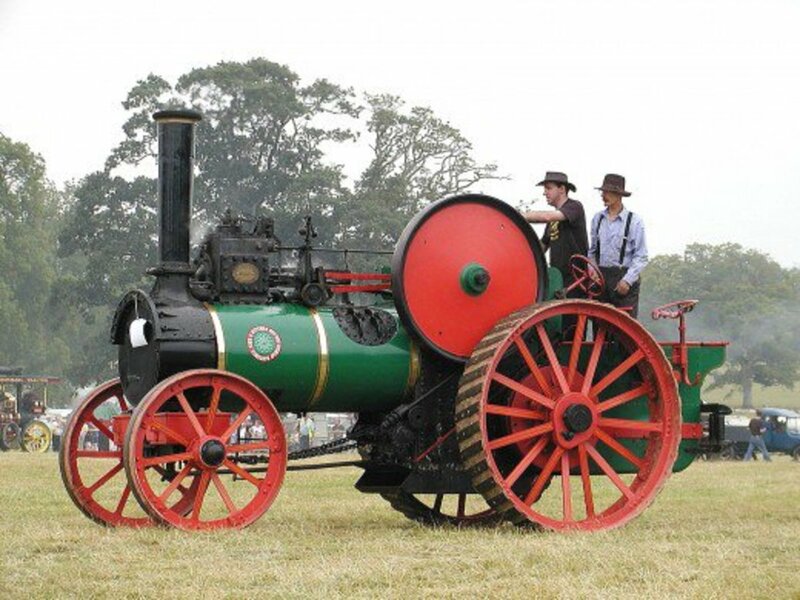 The half-cylinder has a diameter of 20 feet. To the nearest cubic foot, what is the volume of the greenhouse? How do you solve the side lengths (given only their algebraic values - no numerical ones) and the 90 degree angle? Use the sine rule, cosine rule and Pythagoras theorem to express the sides in terms of each other and solve for the unknown variables. How do I know when to use sine or cosine formula when given two degrees and one length? If the length is opposite one of the known angles, you can use the Sine Rule. If it isn't, you can work out the third angle since the three angles sum to 180 degrees. 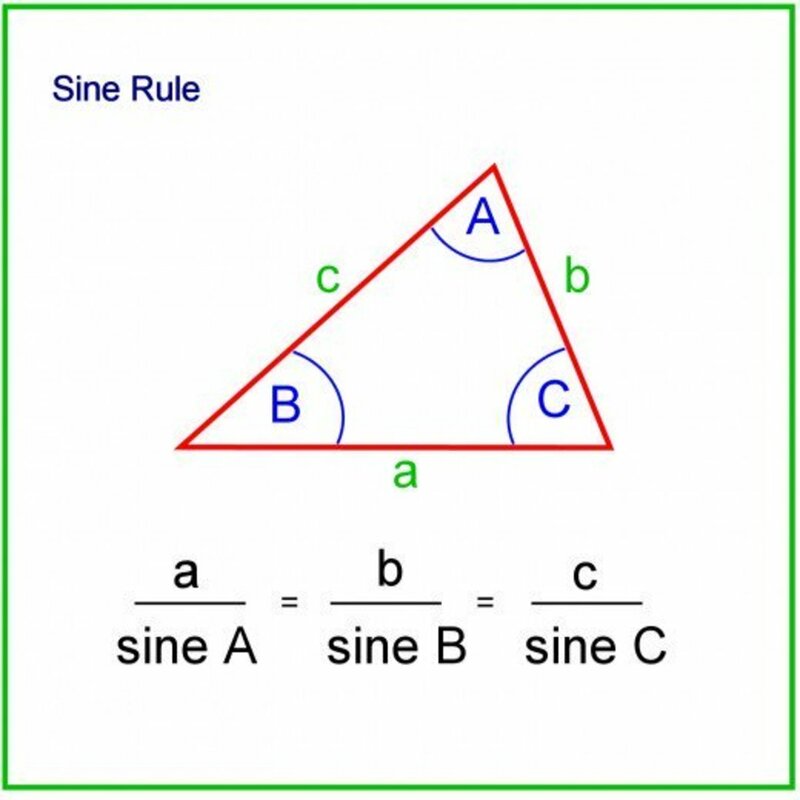 Then use the Sine Rule. The Cosine Rule is normally used when you only have one angle between two known sides. How do you find an angle of an isosceles if you only know two sides and the area? Let the triangle have sides of length a, b and c and angles A, B and C.
What is the maximum and minimum value for the sine of an angle? If θ is the angle, the maximum value of sine occurs when θ = 90 degrees or π/2 radians. The minimum value is -1 and this occurs when θ = 270 degrees or 3π/2 radians. 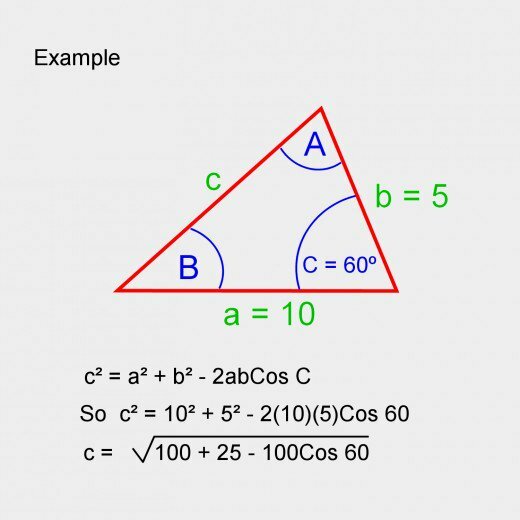 ABC is a triangle in which AB=20 cm and angle ABC =30°.Given that the area of the triangle is 90 cm^2, find the length of BC ? How should I approach the problem - The triangles ABC and ACD are such that BC- 32 cm, AD - 19cm, CD - 28cm BAC - 74 ( angle ) and ADC - 67 ( angle )? Use the cosine rule to work out AC. Then the sine rule to work out the remaining angles/sides. How do I know when to use the sine or cosine formula? If you know the length of two sides and the angle between them, then you can use the cosine formula to work out the remaining side. Otherwise, the sine formula or Pythagorean theorem can be used. Each of the equal angles in an isosceles triangle measures 36 degrees. What is the measure of the third angle? All the angles in a triangle add up to 180 degrees. Both angles are 36 degrees so that's 72 degrees. The remaining angle is 180 - 72 = 108 degrees. If I have a 1 length of a triangle and the other angles how do I find the missing length using the sine method? The green values are known (a, alpha, beta) , I'd like to calculate b, c and also x. Can you help me. I really like this article. As a math major myself, I believe math is beautiful! Hi Carla. 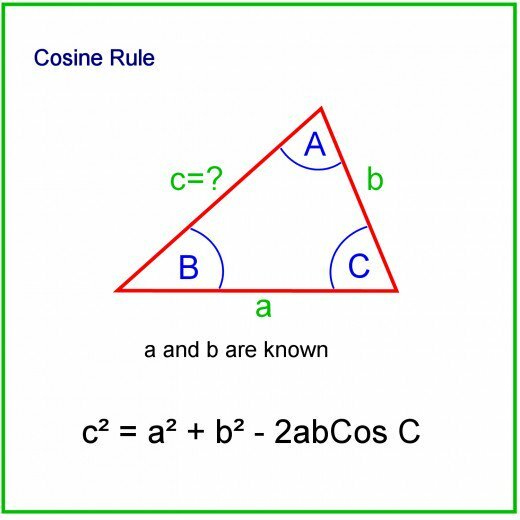 There may be a simpler way of doing it, but you can use the cosine rule in reverse to work out the angle B. Then since it's bisected, you know half this angle. Then use the cosine rule in reverse or the sine rule to work out the angle between sides AB and CA. You know the third angle (between the bisector line and side CA) because the sum of angles is 180 degrees. Finally use the sine rule again to work out the distance from A to the bisection point knowing the length of AB and half the bisected angle. You can't find side lengths with angles alone. Similar triangles have the same angles, but the sides are different. You must have the length of at least one side and two angles. Hi Faria, If you don't know any of the angles, you need to know the lengths of all the sides. how to find the measurement if none of the angle of triangle is given?? As regards Excel, I've added a photo to the article showing how to implement a formula for working out an angle using the cosine rule. I have a right angled triangle and know the lengths of all three sides. I would like to calculate the other angles. I have tried TAN in Excel but it says using this 'Returns the tangent of the given angle,. You need more information, either another side or angle to solve. How find 2 angles and two sides. You kneed to know at least one other angle or length. The exception is a right-angled triangle. If you know one angle other than the right angle, then you can work out the remaining angles using sine and cos relationships between sides and angles and Pythagoras' Theorem. how to i find the length in a Scalene triangle? we konw only one angle and one length. If two sides are given and the angle between them, use the cosine rule to find the remaining side, then the sine rule to find the other side. If the angle isn't between the known side, use the sine rule to find the angles first, then the unknown side. You at least need to know the angle between the sides or one of the other angles so in your example it's the sine rule you need to use. There's an infinite number of solutions for angles A and B and sides a and B. Draw it out on a piece of paper and you'll see that you can orientate side c with a known length (e.g. 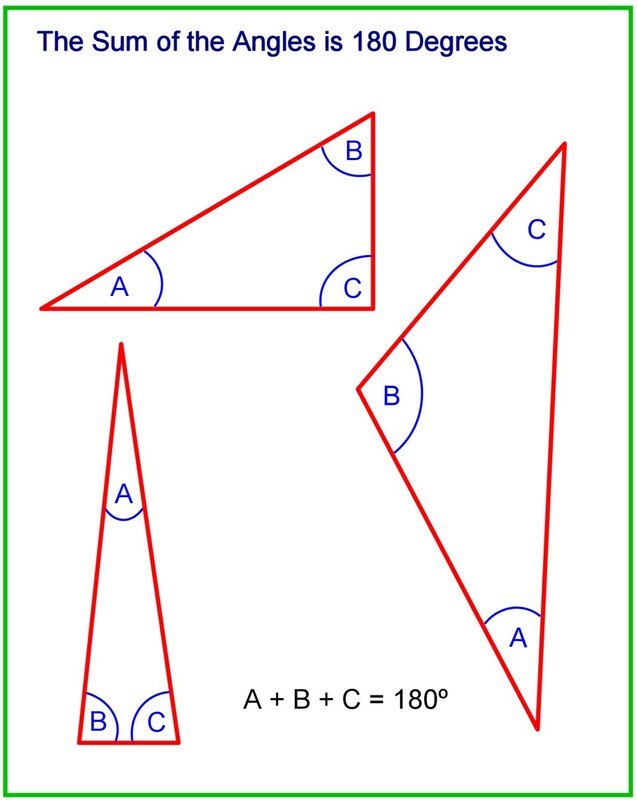 pick a length of 10 cm) and change the angles A and B to what ever you want. You need to know either the length of one more side or one more angle. Call the angles A,B and C and the lengths of the sides a, b and c.
C is the right angle = 90º and c is the hypotenuse. How to find the sides of triangle a and b and other 2 angles A and B, if i know only angle C and side c which is hypotenuse? You need to know at least one of the sides. You could have a very large or very small triangle with the same angles. These are called similar triangles. See the diagram in the tutorial. How do I find a side in a right angle triangle if I know all three angles but no sides? I asked it because how they have founded the angles of different triangles with it any discovery of inverse trigonometric functions. No enough information shahid! If you think about it, there's an infinite number of triangles that satisfy those conditions. Area = (1/2) base x height. So there's no unique values of base and height to satisfy equation (1/2) base x height = 10 m squared. area of right angle triangle is 10m and one angle is 90degree then how calculate three sides and another two angles. If you assign lengths to all sides, you easily can work out the angles. Which sides did assign a length to? Any luck Eugene? I have figured out some of the angles by folding a part of the paper that can let me use trig to figure it out if I assign each side a length. Because you know two of the angles, the third angle can simply be worked out by subtracting the sum of the two known angles from 180 degrees. Then use the Sine Rule described above to work out the two unknown sides. Draw a diagram jeevan. I can't really visualize this. there are 3 circles 1 large circle is a pitch circle having 67 diameter and medium circle is drawn on the circumference of pitch circle at the angle of 5 degree hvaing 11.04 radius and a small circle with only moves in x y direction on pitch circle radius having 1.5 radius so if the medium circle is moved 5degree then at which point the small circle is coinciding and the distance from small circle to center of large/pitch circle.? sir please help me finding the answer thank you. It is tough to prove for sure. I thought I had it by assigning each side a random length ( such as 2cm) and then taking the middle point as half, which looked like the right angle triangle on the top right hand side was half of the half. But it still can't be proven to be half because of the fold. If it's an equilateral triangle, the sides and angles can be easily worked out. Otherwise the triangle can have an infinite number of possible side lengths as the apexes A and C are moved around. So if none of the magnitudes of lengths are known, the expression for lengths of sides of the triangle and its angles would have to be expressed in terms of the square's sides and the lengths AR and CP? The whole problem has no measurements or angles. It only has angle names such as A,B,C,D etc. My starting point is from the common knowledge that a square has 4 x 90 degree angles. If I could determine one other angle then I could figure out the whole problem by using the 180 degree rule of triangles. I will snap a picture of it and try and upload it here on Monday, or sketch and upload it. It seems to be a real stumper, 2/70 people at a workshop were able to figure it out, as I was told by the person who passed it along to me. I appreciate your reply, and I look forward to sharing the appropriate visual information with you. Is any information given about where the corners of the triangle touch the sides of the square or the lengths of the square's sides? If the triangle isn't equilateral (or even if it is), it seems that there would be an infinite number of placing the triangle in the square. Problem: A triangle is placed inside a square. The triangle doesn't have measurements or any listed angles. So we can't identify the type (although it looks equilateral) or make any concrete assumptions about the triangle. I'm suppose to figure out the angles of the triangle without a protractor or ruler based on the only angles I am given which are the 90 degrees from each corner of the square it's in. Since the lines that cut through the square from the main triangle inside the square make new sets of smaller triangles, I still can't make out complimentary or supplementary angles since most of those smaller triangles aren't definitely right angles isosceles triangles. I'm not sure if my question is clear, so if you answer back I'll try and add a picture or sketch to clarify. Just picture a square with a triangle in it touching all 3 sides of its points to the square with no units of measure and no angles. We can only assume that the square has 90 degree angles in the corners and that's all we are given to work with. Since you know a and A, you can work out c.
Since you know b and A, you can work out c.
Then use Pythagoras's theorem to work out a. How to calculate hypoyeneous and side of right angled triangle, if length of one side is given. You need to use the cosine rule in reverse. 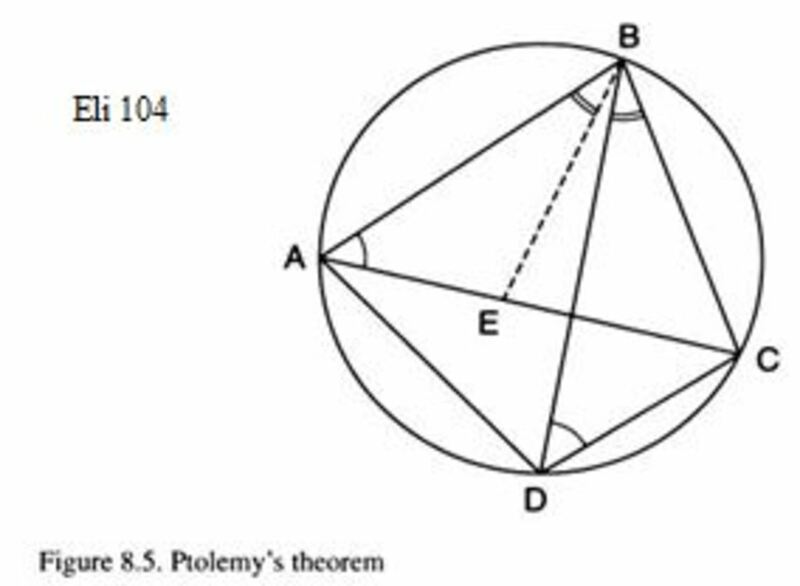 So if the angles are A, B, and C and the sides are a,b and c.
Polygons are a lot more complicated than triangles because they can have any number of sides (they do of course include triangles and squares). Also polygons can be regular (have sides the same length) or non-regular (have different length sides). This is called a scalene triangle. The longest edge of any triangle is opposite the largest angle. If all angles are known, the length of at least one of the sides must be known in order to find the length of the longest edge. Since you know the length of an edge, and the angle opposite it, you can use the sine rule to work out the longest edge. So if for example you know length a and angle A, then you can work out a/Sin A. Thanks Ron, triangles are great, they crop up everywhere in structures, machines, and the ligaments of the human body can be thought of as ties, forming one side of a triangle. I've always found the math behind triangles to be interesting. I'm glad that you ended the hub with some examples of triangles in every day use. Showing a practical use for the information presented makes it more interesting and demonstrates a purpose for learning about it.